Forget conventional hoses–try Kanaflex hoses in Indio CA for superior performance and durability. Are you tired of dealing with expensive, hard-to-handle hoses? Join the many industry professionals who are replacing these old products with top quality Kanaflex hoses in Indio CA. After over 60 years of research and testing, Kanaflex has developed revolutionary production methods that result in superior quality hose that can outperform just about any conventional plastic or rubber hose. 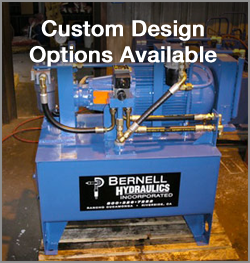 Expertise: Bernell Hydraulics has nearly 40 years of experience in hydraulic hoses. So if you need assistance comparing different products or finding the specific Kanaflex hoses in Indio CA that meet your equipment specs, we can definitely help. Convenience: We want to make getting your new Kanaflex hoses in Indio CA as convenient as possible, which is why we have multiple storefronts and an online store to serve you. If we don’t have the hoses you need in stock, we can order them and deliver them to your local job site or ship them anywhere in the US. Support: If you should ever need hose repair in our local service area, we have a 24 hour repair service you can count on for help. Because we have plenty of Kanaflex products in stock, we can bring your new hoses right out to your job site and provide a fast and reliable repair. If your hoses have been failing more often than they should, ask about our hose analysis service which could reveal the problem and save you money on future hose repairs. Ready to Buy Kanaflex Hoses in Indio CA?